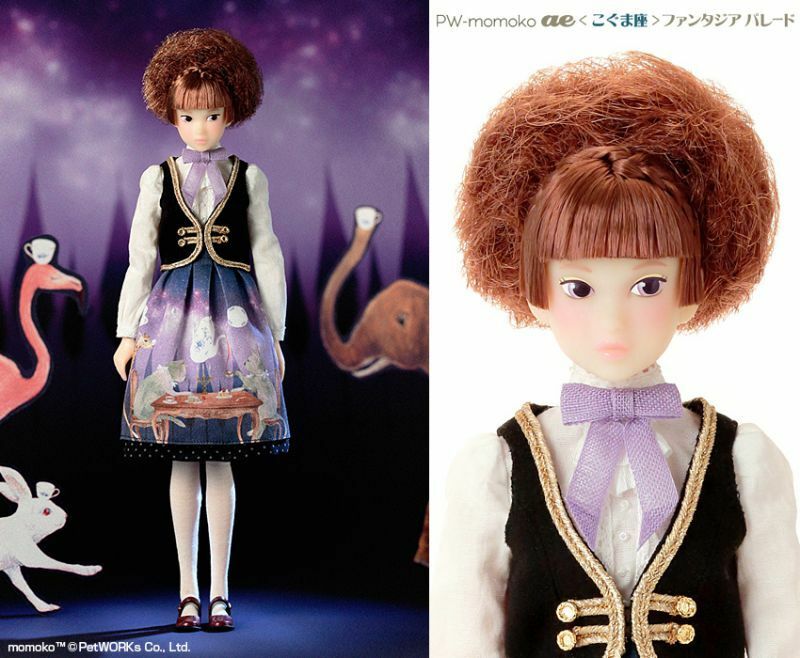 Pre-Order: PW-momoko ae [KOGUMAZA] Fantasia Parade, produced on order. Apr. 21- May 9, 2017. > Pre-Order: PW-momoko ae [KOGUMAZA] Fantasia Parade, produced on order. Apr. 21- May 9, 2017. Pre-Order: PW-momoko ae [KOGUMAZA] Fantasia Parade, produced on order. Designed by KOGUMAZA こぐま座, a Doll Fashion Designer. Pre-Order starts: April 21, Fri. 2017, around 15:00 in JP standard time ( 06:00 in UTC) . Pre-Order ends: May 9, Tue. 2017, around 10:00 in JP standard time ( 01:00 in UTC). Dispatch : February - April 2018. It is NOT DECIDED if we will sell this item when this item is released. So this period may be the ONLY CHANCE to purchase this item. Only customers who pre-order this item will be applied Free Shipping. - There is the LIMIT of the amount of the pre-order, we will close pre-order when the number of order reaches the certain number. - You can NOT order other items together with this item. - If other items are ordered together with this item, your order will be canceled and your payment for them will be refunded (the refund charge JPY100 is taken from the refunding amount) . - You can pre-order up to 20 packages in one session. - Full payment is required at time on ordering by PayPal or credit card. - This is a pre-order for the produced on order item, and it takes time to be delivered. - Once you complete your payment, your order can not be canceled. - There may be a case that we will ship this item one by one in different timings because of the production schedule, in such case the order of shipping will be depends on the order we receive orders. Early orders will be delivered earlier.